Some of the finest examples of the Bentley marque are set to shine at the 2014 Concours of Elegance at Hampton Court Palace this September. Five Bentleys will feature in the 60 exceptional cars chosen for this year’s Concours, with owners from around the world displaying their cars in the Fountain Gardens at Hampton Court. 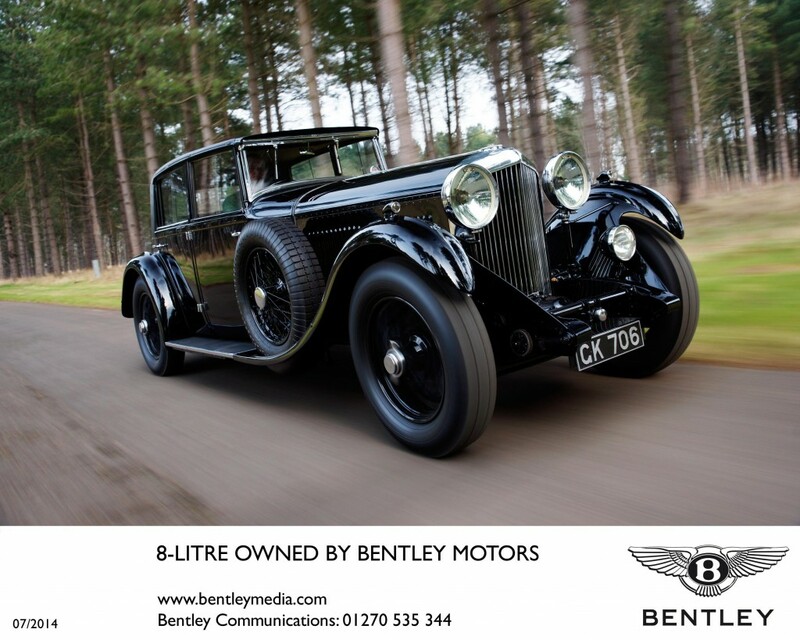 Bentley Motors, a key sponsor of the Concours, will also present a range of exciting cars representing the company’s enduring commitment to luxury and performance. A remarkable double Le Mans winning car, known affectionately as Old No 1, will take pride of place in the Bentley display. The Speed Six racer won the iconic 24 hours endurance race in successive years (1929 and 1930) and recently thundered up the famous hill at Goodwood. Bringing the Bentley performance story right up to date is the new Continental GT3-R. Inspired by Bentley’s Continental GT3 race car which has stormed to back-to-back victories Silverstone and Paul Ricard in its debut season in the Blancpain Endurance Series, the Continental GT3-R blends proven track and road credentials, and is a highly exclusive and potent interpretation of performance-focused luxury. Powered by Bentley’s renowned 4.0-litre twin-turbo V8 engine, this two-seater GT develops 580 PS (572 bhp / 426 kW) and 700 Nm of torque and reaches 60 mph from a standstill in just 3.6 seconds; establishing the GT3-R as the fastest accelerating road-going Bentley of all time. The 2014 Concours of Elegance will mark one of the first opportunities to see the Bentley GT3-R.
Bentley’s contribution to creating some of the world’s most luxurious and elegant cars will be showcased with the appearance of the company’s new Flying Spur V8 and flagship Mulsanne. Hand-built at the company’s Crewe headquarters and combining state-of-the-art technology with traditional craftsmanship using the finest wood veneers and leather, the Mulsanne saloon is the modern successor to cars like the 8 Litre and iconic Blue Train Bentley Speed Six which secured the overall award at the 2013 Concours of Elegance at St. James’s Palace.